Lucky Lock & Key, LLC specializes in locks for your home. These locks can include ones for your doors, windows, closets, and garage. Our locksmith can install or repair any locks for you, residential and commercial. The Lucky Lock & Key locksmiths can install the right locks on your home to keep it safe from potential burglars. Our locksmiths can also make the keys for any of your locks. Hire a Lucky Lock & Key locksmith for new lock installation in your home that's affordable. 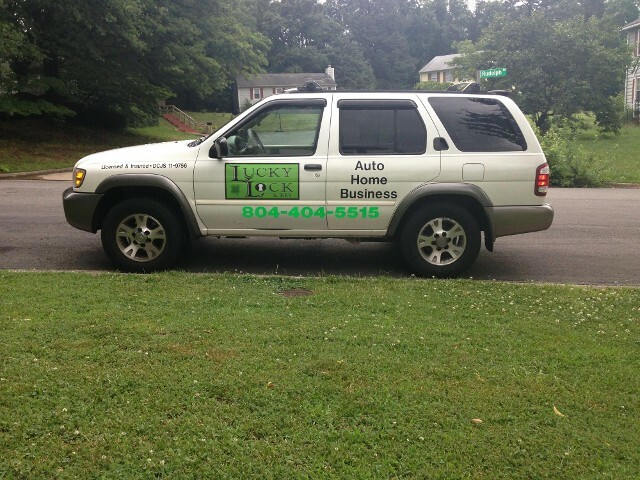 Lucky Lock & Key, LLC, in the city of Richmond, Va, helps you with your auto, home, or business locksmith needs. Our experienced staff provides rekeying services, and installs or changes door locks. We serve the city of Richmond and the surrounding counties.